Savas Beatie, the publisher of the upcoming Ed Bearss Civil War book The Petersburg Campaign, Vol. 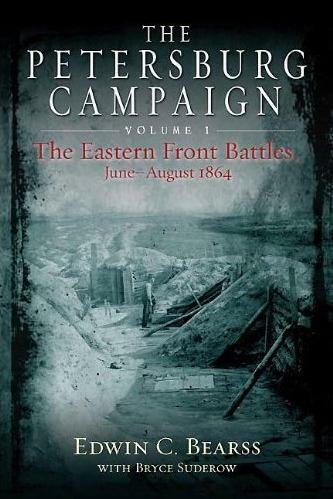 1: The Eastern Front Battles, June – August 1864, has made available to me the first part of an interview with legendary Civil War historian Ed Bearss as well as a short excerpt from the book itself. The Battle of Old Men and Young Boys, fought on June 9, 1864, where Confederate militia, based out of Petersburg, fought for their town against Kautz’ Cavalry Division of the Army of the James. The Second Battle of Petersburg, June 15-18, 1864, when elements of the Army of the Potomac and Army of the James had a golden opportunity to seize Petersburg before the bulk of Lee’s Army of Virginia had ever crossed the Appomattox River. The Battle of Jerusalem Plank Road, June 21-24, 1864, in which both the Union Second Corps and Sixth Corps suffered disastrous repulses on consecutive June days. The Battle of the Weldon Railroad (Globe Tavern), August 18-21, 1864, in which Gouverneur Warren’s Fifth Corps seized and held a point on the Weldon Railroad, one of Lee’s remaining supply lines. Savas Beatie supplied me with a book excerpt, pages 18-21 of the book, which includes a map by George Skoch and a description of the fighting between Archer’s Virginia Battalion and Kautz’ Cavalry. 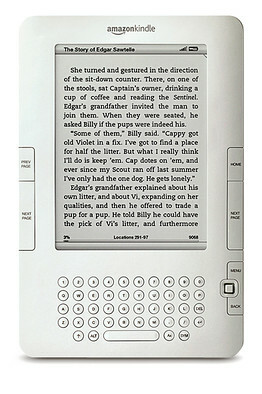 Click the link to see a representative section of the book. Below, please find Part 1 of an interview with Ed Bearss discussing how the book came about. The Petersburg Campaign, Volume 1 is the first in a ground-breaking two-volume compendium, covering six major battles. Edwin C. Bearss recently discussed his upcoming book with publisher Savas Beatie LLC. SB: Thanks for talking with us today, Mr. Bearss. Let me begin by asking you what inspired you to write a book about the Petersburg Campaign? EB: Yes, well we will have to go back a few years to understand the background of how all this came about. The text was written almost 50 years ago in 1958 with the approach of the Civil War Centennial, and I was involved in the preparation for its 50th anniversary. The members of the National Park Service had enjoyed considerable development and expansion during the emergency period of 1933-1942. The emergency conservation program, in which the CCC was acquired, was terminated June 30, 1942 because of the attack on Pearl Harbor. The National Park Service changed drastically with the crisis of World War II. The Park Service had 160 areas under its control, but little attention was given to the park infrastructure. In 1955, the Park Service succeeded in getting the executive department and President Eisenhower interested in Mission 66, a ten-year program to develop the parks, road networks, visitor centers, and trail systems. The Park Service embarked on Mission 66 and a decision was made by the National Park Service and the Civil War Centennial Commission that the Park Service would be treated as a priority in order to preserve the areas established in connection with the Civil War. SB: And Petersburg was part of that? EB: Yes. The Petersburg National Battlefield would elevate its standing by adding a visitor center, new interpretive road systems, and historical walkers. To achieve the Park Service goal, I was assumed a position of Research Historian. SB: So part of your responsibility was to write about this Campaign? EB: Not initially. My mission was to provide the Park Service with the necessary information to meet their goals. After working on a number of projects associated with the Park System, especially Civil War, I was given the task of preparing two movement maps and supporting documentation for the major Petersburg operations. I prepared troop movement maps for the Petersburg Campaign, which totaled more than 60 large maps. The maps were finalized and accepted by 1964. The only copies of the troop movement maps are on file at the National Park Service—one set at Petersburg National Park and the other at the National Park Services in Denver, Colorado. To support these troop movement maps I researched and then wrote a number of documented essays. This was the days before easy duplication. One original copy of the essays is on file at the Petersburg National Battlefield Headquarters and five transcripts, which are on very thin tissue paper. SB: And these are what editor Bryce Suderow found that inspired him to contact you and discuss publication into book form? EB: Yes, he discovered the copies at Petersburg. Bryce is an expert researcher and he thought they were worthy of being published to a larger audience. There was zero funding for reproducing the maps and text and no one until Bryce has thought of reproducing them as a publication until he broached the idea with Ted Savas of Savas Beatie. SB: And Bryce, who has helped countless authors with research, helped edit your work for publication . 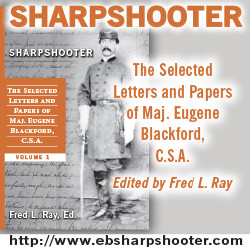 . .
EB: Yes, Bryce standardized the notes to meet the publisher’s style requirements, added introductions and conclusions to each essay so they flow together for publication purposes, and George Skoch drafted maps for each of the essays. You can bet I’ll be reviewing this one early on. Keep an eye out here for even more on this important new book. This summer I was able to listen to Ed. Bearss while he talked about the Civil War in Tennessee which is now my home. I would like to contact him because my father wrote the ” The tragedy of the Crater” which relates the story of the engineering of the mine. It is of interest that once again there are those that wish to keep such memories alive. Thanks for commenting. I unfortunately do not have Mr. Bearss’ contact information. I would recommend sending an email to Savas Beatie, the publisher of this book, and they might be able to put you in touch.